Before the ultrasound mapping of the veins, you will be given a gown or laundered shorts to put on or you can bring your own shorts but they must be loose fitting. The ultrasound is performed with you standing as this makes the veins easier to see. 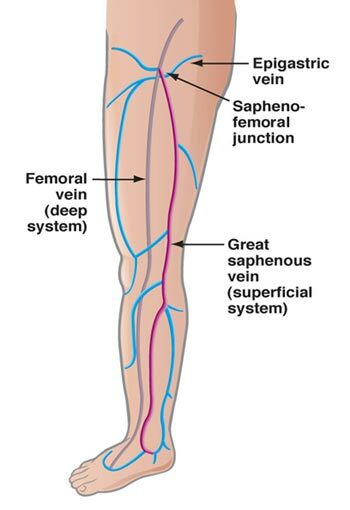 The ultrasound mapping assessment starts in the groin where the Greater Saphenous Vein branches off the pelvic vein to travel down the inside of the leg. A Doppler assessment is made to check the direction of blood flow down the leg. This is done by squeezing the calf and watching the direction of blood flow on the screen. 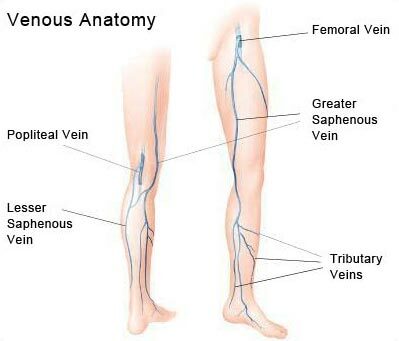 There are valves placed along the vein to prevent the blood from falling backwards down the leg. If the Doppler can show the blood is falling backwards down the leg then the vein is not working or is incompetent. The diameter measurement of the vein is recorded and assessed to see if it is suitable for laser. We can laser incompetent veins (not working normally) that are over 6mm and straight. All the veins around the leg are assessed and recorded on a map. 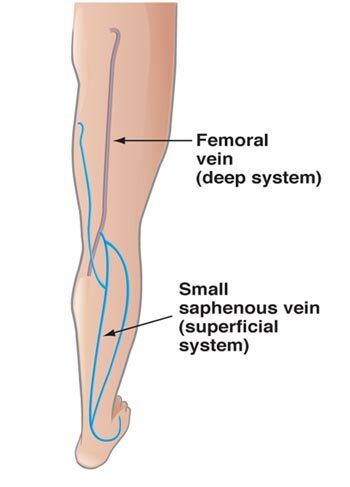 There are 2 superficial system where varicose veins come from , The Greater Saphenous Vein which starts in the groin and travels down the leg to the inside ankle, and the Short or Small Saphenous Vein which starts from behind the knee and travels to the outside ankle.These 2 systems are assessed to see if they are working or not . After the mapping of both legs are completed, a DVT (deep vein thrombosis) study is performed on both legs routinely to check for blood clots. When the mapping is complete, Dr Roberts will consult with you again to go over your treatment options.